Need help with all the passwords? If you add up all the systems you have to login to over the past 10 years, you may pass 50, 100 or even 200 accounts. These could range from education, work/office, home, online, offline, bank PIN, mobile and the list goes on. We can help you manage all of this without having to speak to someone to reset these once every 6 months. In our busy lives, we cannot have delays logging into online accounts so we use the same email and password. If you have the same password in 2 or more places, please read on. When working alone, it is difficult remembering what the website address was when there are millions of websites. Locating emails with details is a pain when you are part of a bigger team. If someone forgets the password or they leave the company, does anyone else have any details? Ismail is the Deputy CEO of a social enterprise business and helps individuals gain skills and get into paid work. He works with a team who collectively have a number of passwords to remember and often there would be a problem of who registered with which website and what details. It is time consuming finding out which email is used with a particular website before you can attempt resetting any password. Passwords are now managed in house and the team know what the website is, the email/username and the password. The best part is that no one needs to remember multiple passwords and none of the passwords are used on different systems. This means that the passwords are strong and complex so when there is a password breach from a large company in the US, they only change password and that's the end of it. Saving time and not hassling all the staff for help. Before you ask, there are no sticky notes in the office. "The IT support Birak IT provide is exceptional." Our team have recently helped businesses like Ismails in Southampton and nearby locations below. 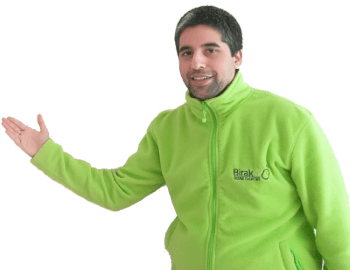 Like Ismail if you would like some help with the security of your business critical data please call the team on 01489 290 001. Would you like to secure your IT systems? Call our team on 01489 290 001 or drop us an email.